It enables dispensing and the subsequent storage of estimate job costs and generation of detailed reports. Buckets can be dispensed, refilled or corrected. For each order, TMS calculates all the printing paste needed and prepares a production schedule with data about the ingredients of all batches that are due to be dispensed. 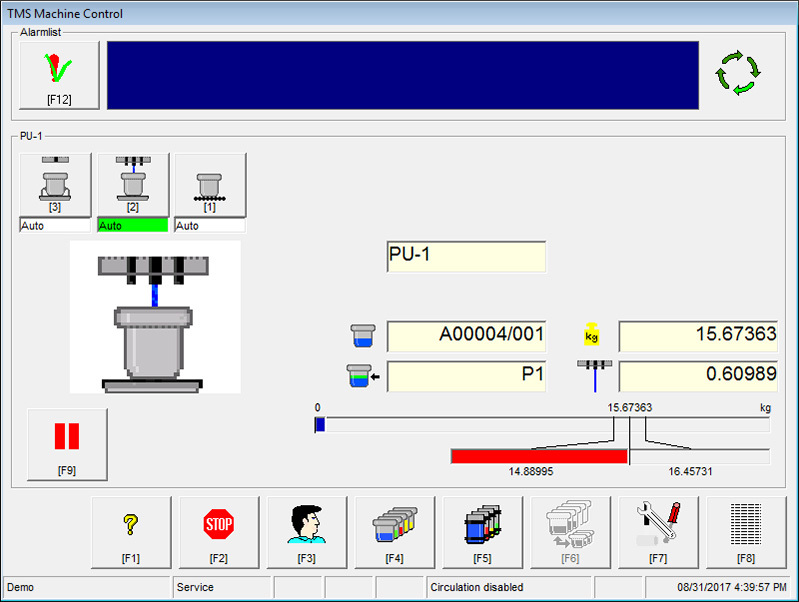 The operator produces the recipes with printing paste in the specified order. The Return Paste Module, part of the TMS, reduces waste of printing paste to an absolute minimum by tracking buckets with return paste. When a new order is entered, the module automatically checks for stored return paste, calculates how much can be reused, then notifies the operator.